We all were missing Sunil Grover In his “Dr.Mashoor Gulati” avtaar after exit from The Kapil Sharma Show, where fans dying to saw his comedy. 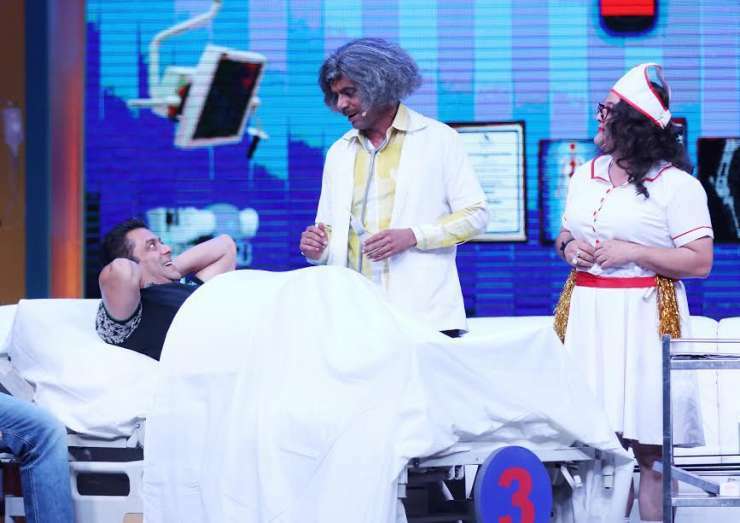 Fans missing time is over, Sunil Grover returns on Sony TV as Dr. Mashoor Gulati with Supernight with Tubelight, this is a special permotional show for Salman’s upcoming movie Tubelight. Supernight With Tubelight trailer is launched on twitter by Sony TV, This trailer looks very promising, in this, you can see how Salman Khan is having a fun time with his brother Sohail Khan. Dr Gulati along with nurse (Ali Asgar) are operating Salman Khan, all this makes it an interesting watch. This special show trailer is so interesting, then imagine how much comedy in the enitre episode would be.